How consolidating your integrated communications can accelerate awareness. 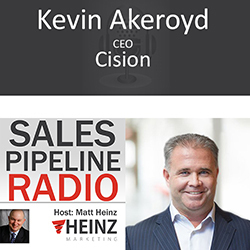 Matt Heinz and Kevin Akeroyd, CEO of Cision tell more of the story. Introducing the B2B Marketing Communications Cloud – how consolidating your integrated communications can accelerate awareness, interest and sales pipeline contribution.